Lets take a little of the mystery out of the process be explaining what the different terms mean. Coinsurance Clause - A provision in a hazard insurance policy stating the minimum amount of coverage that must be maintained as a percentage of the total value of the property in order for the insured to collect the full amount of a loss. 401(k)/403(b) An employer-sponsored investment plan that allows individuals to set aside tax-deferred income for retirement or emergency purposes. 401(k) plans are provided by employers that are private corporations. 403(b) plans are provided by employers that are not-for-profit organizations. 401(k)/403(b) Loan - Some administrators of 401(k)/403(b) plans allow for loans against the monies accumulated in these plans monies must be repaid to avoid serious penalty charges. Points (Loan Discount Points) - Points are prepaid interest on your mortgage. A one-time fee charged by the lender at the time of closing for originating a loan. Each point is 1% of the loan amount that is, 2 points on a $100,000 mortgage would be $2,000. Preforeclosure Sale - A procedure in which the investor allows a mortgagor to avoid foreclosure by selling the property, typically for less than the amount that is owed to the lender. Principal, Interest, Taxes, and Insurance (PITI) Four potential components of a monthly mortgage payment. Principal refers to the part of the monthly payment that reduces the remaining balance of the mortgage. 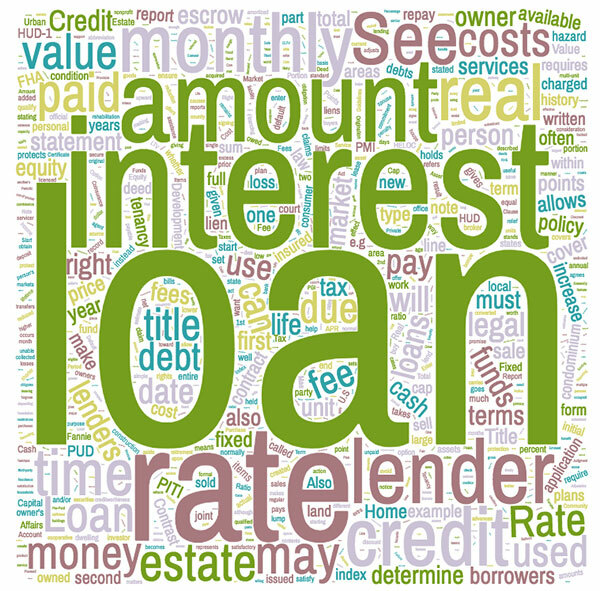 Interest is the fee charged for borrowing money. Taxes and insurance refer to the amounts that may be paid into an escrow account each month for property taxes and mortgage and hazard insurance.